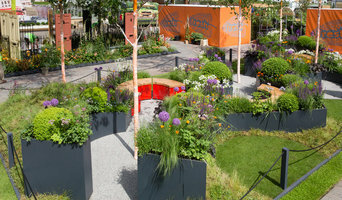 Complete Driveway Designs Limited was founded in 2001, and became a limited company in 2003. In an industry where many companies rarely last more than a few years, we are proud to have over a decade of knowledge and experience, as well as thousands of satisfied customers. We are based in Ramsbottom near Bury, and from there have excellent links to the whole of Greater Manchester and the North-West. We design, install and maintain any size and shape of driveway, and have a wide selection of other services available. Our showroom is next to our office, so please get in touch if you would like to book an appointment and get a more in depth look at the work we do. We specialise in pattern imprinted concrete, which we use to create aesthetically pleasing, durable driveways. We also install patios, steps, walls, fencing, decking and most other things you can think of for the exterior of your home. As you can see from our case studies section, no job is too big or too small, as we have done installations from small private properties to huge commercial projects like KFC and McDonalds in Hull. We also did all the concrete flooring for the Alphamare Waterpark in Scarborough, which opened in July 2016. Woodroyd Resin Drives Woodroyd Contract Services has been involved in the installation of BOUND aggregate for almost 20 years and has had untold experience in installing thousands of square meters of the surfacing all over the country on commercial, local authority and public contracts. 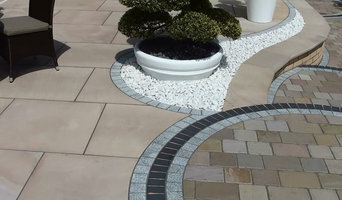 This technology is now available to the DOMESTIC client, Woodroyd resin drives and landscapes use a wide range of stone, marble and glass aggregates blended with adhesives from two of the countries leading resin manufacturers, we can design and install a bespoke drive to the highest of standards. So, if your drive, path or patio look tired and worn out give us a call for a free consultation and quotation. Welcome to PD Drives and Patios Ltd…. We design build and install Driveways Patios and provide all Garden services: from residential homes to large scale public areas. 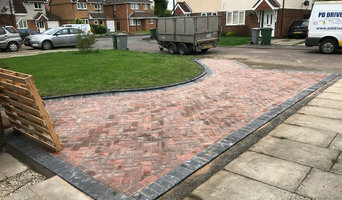 Our team with years of experience and value for money services can make your your project become reality - our driveways come with many design options Styles and colours - we can advise you on how to make the best of your property at affordable prices! We can also fully maintain and repair all types of driveways, patios and paving Including tarmac and block paving - protecting your investment for years to come Our power wash cleaning services can remove years of dirt grime and weather Damage including moss and stains leaving surfaces near new ! We also provide all types of Garden and landscaping work fencing, turfing, paths And walls and provide full maintenance and repair services With Free no obligation estimates free site surveys even free advice. Our services are only a phone call away, all our work is fully guaranteed so your covered ! The Resin Mill Surfacing Direct lead the resin industry with our approved contractor scheme. Clients can have piece of mind with The Resin Mill and no longer have to fear choosing a resin bound contractor who they can't trust. All of our contractors are Resin Mill certified and have been trained at the exclusive School of Resin Training Academy, at the headquarters of the UK's leading resin materials supplier. Contractors are vetted, monitored and quality controlled by The Resin Mill in order to order to give customers the best experience possible when purchasing their new resin surface. The Resin Mill Surfacing Direct contractors work only with the highest quality materials in order to lay beautiful resin bound surfacing that will last for years to come. Trust and a superior service coupled with a highly cosmetic precise and reliable surface. 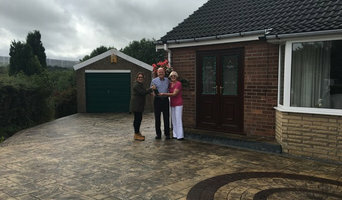 GK Driveways is a well established company offering quality installation of driveways, patios and artificial lawns in the Greater Manchester region. Here at Complete Concrete Designs, we specialise in pattern imprinted concrete for driveways and patios. From design to installation, maintenance to repairs, we offer a high quality service to all of our customers. We offer many other surfacing services, as well as landscaping, fencing, decking and much more. So whatever it is you're looking for, we're here to get the job done for you. Our team are highly trained and experienced, so you won't have to worry while we provide you with the service you require. GSM Civils Ltd are surfacing contractors operating throughout Bradford and other surrounding areas. We specialise in all types of driveways in Bradford, and supply superb surfacing solutions for both commercial and domestic customers. Our extensive range of solutions includes driveways, pathways, car parks, road repairs and pavement lowering, so you can guarantee that our committed team will meet your exact requirements. A highway maintenance and surfacing contractor that provides a range of construction services to commercial and domestic clients. Established in 1995, we are a family-run business that believes in providing top quality customer service and value for money. We primarily cover all areas of South Yorkshire and North Derbyshire including Sheffield, Rotherham, Barnsley, Doncaster and Chesterfield. All our work is undertaken by our fully trained and experienced workforce. We hold all the relevant insurances and NRSWA Street Works qualifications to undertake work in the public highway. We also carry out work on car parks, private roads and estates, industrial estates, retail parks, shopping centres, schools, public sector buildings, offices and council houses. Method Statements, Risk Assessments, licences and all of our company policies are available upon request. Northern Drives Manchester is a trusted paving company operating throughout Manchester and surrounding. We specialise in all styles of driveways in Manchester, and deliver outstanding surfacing solutions for both commercial and domestic clients. Our comprehensive range of services includes driveways, pathways, car parks, road repairs and pavement lowering, so you can guarantee that our dedicated team will be able to meet your exact requirements. 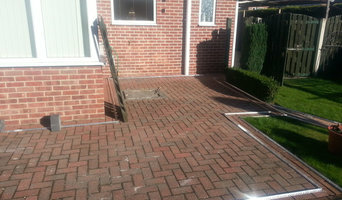 Daly’s have carefully developed a reputation for reliability and high quality workmanship as surfacing contractors operating throughout Altrincham and other surrounding areas. We specialise in all types of driveways in Altrincham, and produce exceptional surfacing solutions for both commercial and domestic customers. Our considerable range of services includes driveways, pathways, car parks, road repairs and pavement lowering, so you can be certain that our dedicated team will be able to meet your specific requirements. Based in Sheffield, we can provide our excellent range of paving, landscaping and resin services across the area and all surrounding areas. We have helped a large number of customers throughout Sheffield and often receive glowing feedback. If you are unsure whether we cover your area or would like to discuss your project, simply get in touch and we will do our best to help you. Our friendly team can provide you with all the time and advice you need. Sheffield based Royal Home Improvements offer a complete bespoke driveway and landscaping service in the Sheffield area. We are a local family run business with over 50 years experience in the industry and hundreds of examples of completed driveway installations including tarmac, concrete, resin and many more. We work with some of the top suppliers such as Marshalls Paving and once you’ve seen our work you’ll understand why Royal Home Improvements are Sheffield’s No.1 drive and driveway company. Driveway professionals can install, replace and repair concrete driveways, asphalt driveways, exposed aggregate driveways and other paved areas in various materials. Before work begins on a new or replacement driveway or other paved area, a New Mills, Derbyshire, UK driveway professional will assess your property’s grade, soil and drainage. They will then help you choose from a range of poured surfaces and driveway pavers, based on your home’s style and environment. Next, they will prepare the site and operate any heavy machinery needed to build the driveway or move pavers – however, construction may not be able to happen until after other contractors have finished. Find a driveway and paving contractor on Houzz. Narrow your search in the Professionals section of the website to New Mills, Derbyshire, UK Driveways. You may also look through New Mills, Derbyshire, UK photos to find examples of driveways and paving that you like, then contact the paving professional or contractor who worked on them.